If you love Winnie the Pooh characters, then you definitely don’t want to miss this one. The locations offers breakfast, lunch and dinner services with the characters at all of the services. You get to enjoy an amazing buffet, plus a lot of fun with the characters. The dining location is also beautiful with a lot of windows and natural light and all the greenery throughout the restaurant. This is an extremely unique location within Walt Disney World. The restaurant rotates so that you have different scenery to look at as you dine. Much of the food that is prepared for the location is grown within The Land pavilion, so guests get the freshest of flavors. The characters usually include Chip, Dale, Mickey and Pluto and the location offers breakfast, lunch and dinner services. This is definitely one of our favorites! The characters are only present for the breakfast service and typically include Lilo, Stitch, Mickey and Pluto. The breakfast is unique in that it is a buffet, but the food is brought to your table family style. The food is delicious and the views of the resort and the lagoon are beautiful. Tusker House Restaurant only features characters at the breakfast service. The characters typically include Donald, Mickey, Daisy, Goofy and Pluto. The buffet includes a variety of delicious offerings that will leave guests full and ready to take on a day in the parks. There is a great photo opportunity with Donald and a lot of fun throughout the meal. If you are looking for a great reason to go and check out the Grand Floridian, then this is definitely it! The food at the restaurant is amazing and we love the characters and interactions. The location offers breakfast and dinner services with the characters changing a bit depending on the service. The morning characters include Mary Poppins, Alice, The Mad Hatter and other friends. 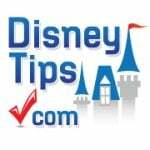 The dinner service usually features Cinderella, Prince Charming, Lady Tremaine and the step sisters. The dinner service is extremely popular since the step sisters are so much fun to interact with! If you love princesses then this is definitely a great choice for your family. 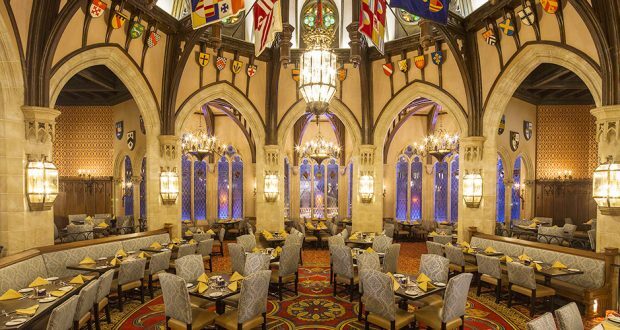 This dining location is also extremely popular because you get to dine on the second story of Cinderella Castle, giving you amazing views of Magic Kingdom Park. The restaurant is a bit on the pricey side, so the price tag can scare some guests away. The cost for the meal includes multiple courses that guests get to choose their selections for. This is definitely an experience that we recommend that you try at least once, and you will probably want to come back again! This is definitely a special character dining location. The food is amazing and we love the BoardWalk in the morning! At this location you also get to meet and greet with two of our favorite Disney couples. 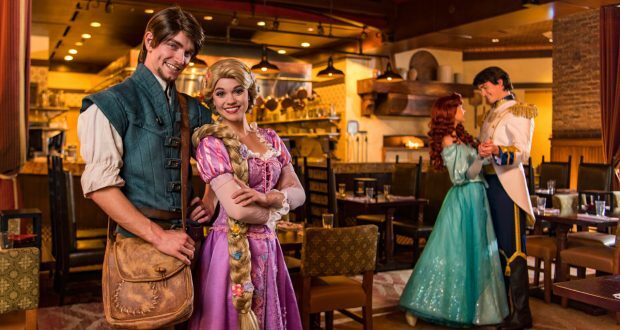 These favorites include Rapunzel, Flynn Rider, Ariel and Prince Eric. There aren’t very many character dining opportunities with Disney princes, so it’s a lot of fun to be able to meet and greet with the pairs. This has consistently been a popular character dining location. The monorail breezes by just above the dining location several times throughout the meal, constantly reminding you that you are in the middle of the Disney magic. 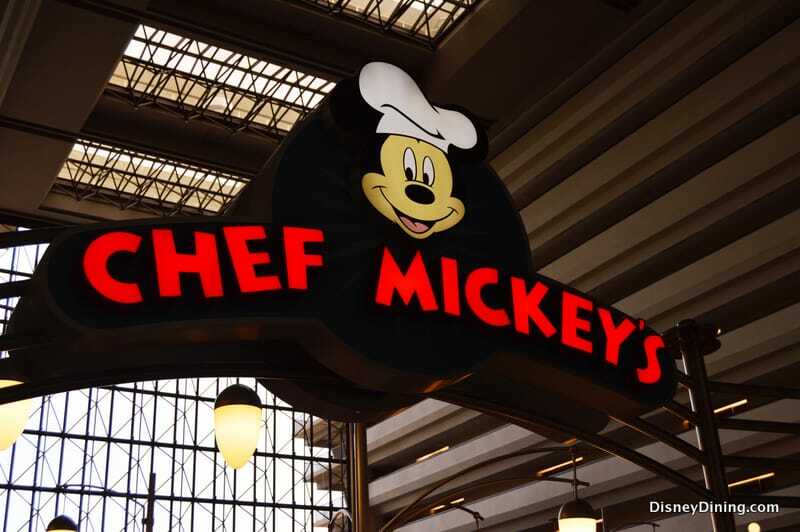 The restaurant offers breakfast, lunch and dinner services which feature a combination of characters including: Mickey, Minnie, Goofy, Pluto and Donald. The buffet is very expansive, so there is typically something great for everyone. We love that this character dining experience has a lot to offer. If you dine for breakfast, you get to meet and greet with Disney Junior characters. If you dining for dinner, then you can enjoy Minnie’s Seasonal Dine where the characters outfits and the theming of the location changes based on the season like spring, summer, fall, holidays, etc. It lets you experience a different meal and experience depending on the season, which is so much fun! 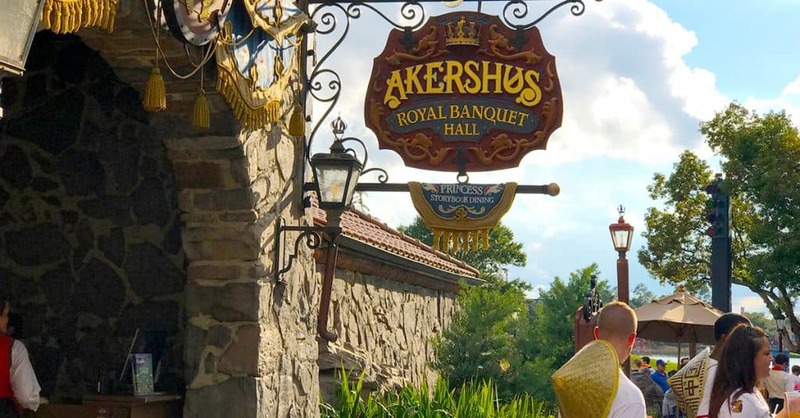 If you are looking for a princess dining option that has a smaller price tag than Cinderella’s Royal Table, then you want to check out Akershus Royal Banquet Hall. The food features favorites, plus Norwegian-inspired dishes so you also get to try something new. The princesses are there for breakfast, lunch and dinner, but changing up slightly depending on the service. Princesses you may see, depending on the service, are Snow White, Cinderella, Belle, Aurora and Ariel. Sometimes others may be there, too.